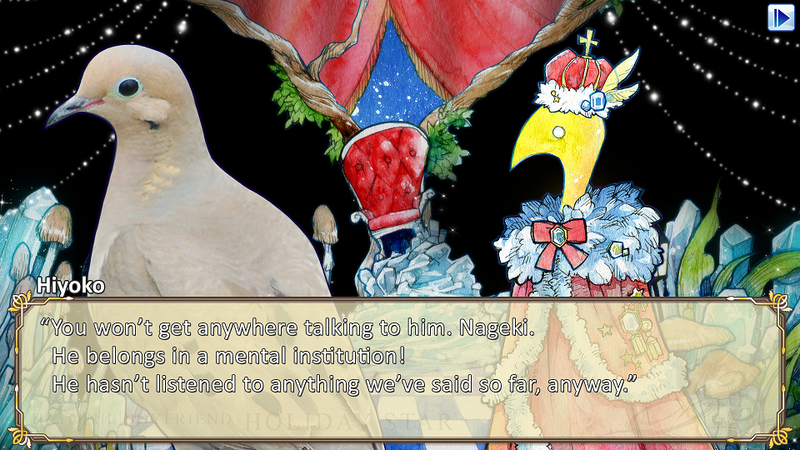 You read it right people, there is going to be a squeal to the pigeon-tastic Hatoful Boyfriend called Hatoful Boyfriend: Holiday Star, coming to us this autumn. I reviewed the original Hatoful Boyfriend last year and loved it with a passion, everything about it was awesome and really original. You can buy this on Steam for the PC. Some brilliant news about the original is that this summer it is coming to PS4 and Vita and not only that but it will be an extended edition. Now Devolver Digital and Mediatonic are back, with a high definition, and in some scenes, hand drawn sequal. The difference is, in the title, Holiday Star. This sequel is set in the winter/holiday time. As well as seeing the original cast, there are some new birdies to woo. I can already tell that this sequel to an already brilliant game is going to be great fun, and I am too excited to play this in autumn, but hey, at least I’ll have the extended PS4 edition to see me through till then. Let me know what you thought of the original and what kind of pigeon you want to see in the sequel. Youtuber and Cosplayer, devoted fashionista, obsessed with gaming, a metal head, Japan mad and cartoon crazy.